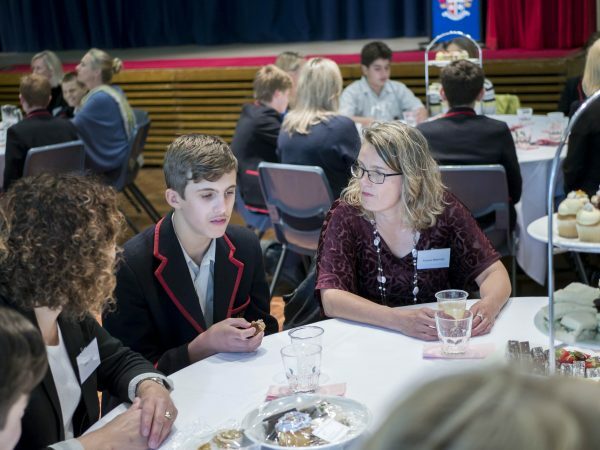 Dr Arne Rubinstein facilitated a High Tea for Year 8 boys and their mothers last week. The aim was to strengthen the bond between these young men and their mums, but it was clear from the beginning that these bonds are already strong in very beautiful ways. Perhaps the real purpose – and Arne’s dexterity is clear here – was to give mums and boys the chance to reveal these bonds to each other, and to share as a community in the joys (and occasional frustrations) that they hold. The majority of the boys who were in attendance are taller than their mums. The mums had a life – often quite exciting! – before their sons were born. One of the things many mums appreciated is that their sons are not frightened to show them affection in public. 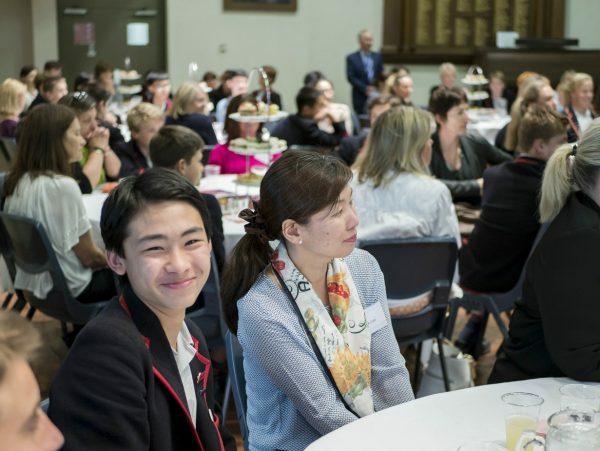 BGS boys are not bashful about speaking lovingly of their mums. Activities that Year 8 boys most love doing with their mothers include watching The Bachelor. 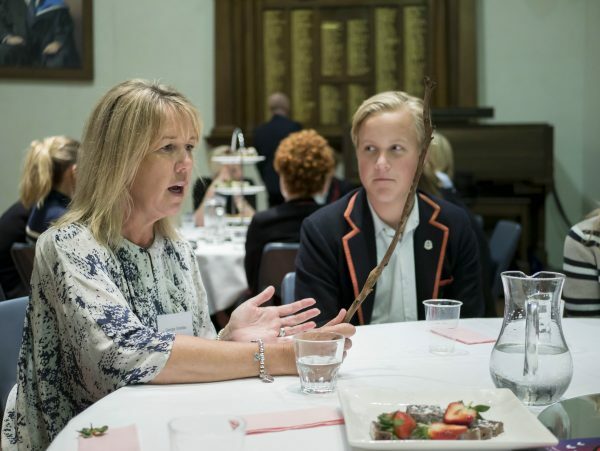 Year 8 boys can listen carefully when their mothers speak. Ribbon sandwiches are mini cupcakes are delightful, but they do not fill up Year 8 boys’ bellies. Thank you to the School caterers, the Heads of Year 8 and Dr Arne for making this afternoon so special.